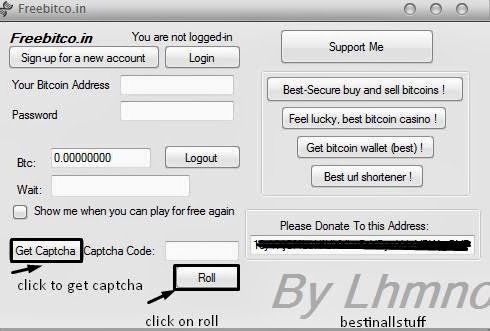 so let's begin the strategies, and yes there is a bot to automate the whole process and this bot is not like the freebitco.in bot where the bot is nothing but just filling the captcha but not running the script, but this primedice.com bot is more than that! 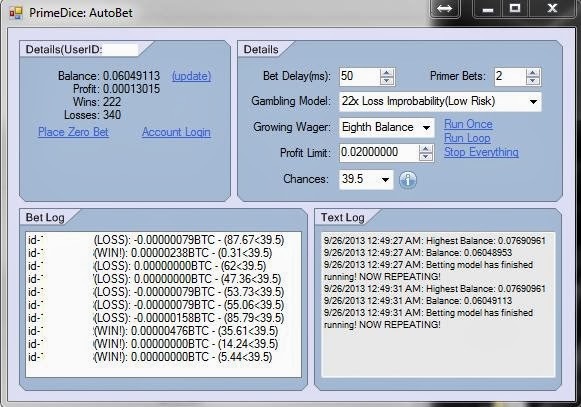 it has inbuilt martingale system which auto adjusts the profit, betting and loss! but this will be shared in my next post! let's continue the strategies! After that copy the whole script and click ctrl+shift+J and open console in your chrome browser! Make sure you stop the script if you get profit and if you get decrease in btc for 3 times stop the script by pressing F5 or reload your browser! For testing purpose, use the script once, you can see rise in Btc and after some consecutive bets your btc will become 0, for this you need to clearly adjust the bet value, check the image1(top image) and this for only advance users! If you don't get profit at the starting of script wait upto 3 losses then reload the browser again! you can see the increase of btc, i tried with 100, and if you see the image it's 382 with just 4 reloads in 1 minute! so Make the script a good use! Make sure you follow the video carefully! If you see the above video what matters is betting value, so use different combinations of betting values and what to do if it's a loss and what to do if it's a profit, so use some basic probability techniques and try it! another combo of auto bet video, watch it! 4. Virtapay $ to BTC and so on! so stay tuned, and if you have any doubt kindly comment here or contact us! Note: Try these strategies at your own risk and we are not responsible for the loss of your btc!